Sciblogs | Wakefield’s (bad) science: when measles isn’t actually measles. Wakefield’s (bad) science: when measles isn’t actually measles. What of his other work? Indeed, the Lancet paper was just the first in a series a papers attempting to link autism with measles. Last year I gave a talk at the NZ Skeptics annual conference about his other papers which used ‘proper’ science to shore up this link. It was entitled ‘The (bad) science behind the MMR hoax’. I think you can probably see where I’m going with this…. One of the bits of ‘proper’ science Wakefield used was the polymerase chain reaction (PCR). For those who don’t know how PCR works there are some video’s online. PCR is a fantastic technique used to amplify very small amounts of genetic material to generate over a billion copies. In a nutshell this means PCR can take something that is undetectable and make it detectable. As you can probably imagine, one of the downsides of such a sensitive technique is that it is very easy to contaminate, so proper controls are really important. But I’ll get back to that in a minute. 1. The primers need to be specific so that they only amplify what you are targeting and nothing else. 2. You have to be very very very careful not to contaminate the reaction. 1. A negative control which has water in place of any target genetic material. This will tell you whether you have had a contamination problem or not. 2. A negative control which has control genetic material that does not contain any of the target sequence. This will tell you if your primers are specific enough. 3. A positive control which has genetic material that does contain the target sequence. This will tell you if your reaction has worked. So, you have your samples and your controls, the PCR machine has done its dash and you are left with a little tube filled with billions of copies or the target sequence (or none if the sample was negative….). This can then be visualised by gel electrophoresis and you are left with something like the picture below. Lane 1 contains a size standard, lane 2 is the negative control containing no genetic material, lane 3 is the negative control containing no target sequence**, lane 4 is the positive control containing the target sequence and lanes 5 and 6 are our unknown samples (which in this case are all positive). It is important to say here that very rarely would you see an actual gel published in a paper***. Most results are just described as the number of positive or negative samples. This is important as it leaves the reader assuming the correct controls were done. But it doesn’t end with bands on an agarose gel. The amplified genetic material can then be sequenced to confirm it is the correct thing. And if the claims you are making are wide-reaching and/or controversial then sequencing is exactly what should be done. That’s three of the children Nick had already found to be negative. So how did they get any positives when Nick’s results were all negative? Yasmin D’Souza and colleagues at McGill University in Canada published a very nice paper in 2007 in which they compared the primers used by both the Japanese and Irish groups with their own primers for the measles virus on a range of IBD and control intestinal biopsy samples. Any positive samples were verified by sequencing. And the results? The primers used by Wakefield and colleagues weren’t specific for measles virus. In fact, the amplified fragments were found to be of mammalian origin. What this means is that human samples should all be positive. This begs the question: why were only 5 of the Irish team’s controls positive?! Were they not human? In another paper D’Souza and colleagues also tried their measles specific primers on samples from over 50 autistic children. Their findings? So, does that count as research misconduct or incompetence? I would argue Nick’s PhD thesis suggests the former. *By which, of course, I mean beautifully elegant science…..
**Don’t be alarmed by the faint band, this is just the background genetic material. ***Of course the reviewers could ask to see electronic copies of the original gels but this is very rare. Saying that, I know of at least one case where a post-doc was found to have completely fabricated her entire two year project when a reviewer asked to see the original data and it was found that she didn’t have any. Most excellent post 🙂 I remember reading some of this stuff a year or so back but your explanation is just great; nice & clear & one that I will point students at when talking about positive & negative controls for PCR. And I would have to come down on the same side as you on the misconduct vs incompetence call. I mean, not using measles-specific primers…. what were they thinking??? Brief, to the point, and easily read. An excellent explanation of why controls are so important, the more so when it comes to health sciences. Actually, would love to read that thesis! Leaving aside all the subtleties of PCR analysis such as extraction methods, primer selection, and amplification technique (which could explain most of the published variations), your story does not even make sense. Chadwick did one series on the 1998 Lancet 12 subjects. That has nothing to do with 91 subjects in a 2002 paper. What are you talking about? Joel, I think you’ll find that what happened was that Chadwick did a very thorough study of the 12 subjects and found no measles virus and as this was contrary to what Wakefield expected/desired, the samples were sent to another less robust lab. You said it yourself that primer selection is one of the “subtleties of PCR analysis”. Indeed it is the crucial one and if wrong can mean all manner of things are amplified. This is what appears to have happened. D’Souza’s papers show that the primers used by the labs who got positives were not specific for measles virus. This means it wasn’t measles virus they were amplifying. It really is as simple as that. Regarding my so-called ‘disrespect’ for Nick Chadwick. On the contrary, on the basis of his thesis he would appear to be a very good and thorough scientist and I’m really pleased that having Wakefield as a supervisor has not damaged his scientific career. I don’t see why. Personally I object to being addressed by my surname. Firstly, Siouxsie didn’t say (write) that, she quoted Wakefield as reporting that. Secondly, Siouxsieâ€™s point is that while Wakefield claimed (argued) that they observed measles virus, independent evidence indicates that they observed false positives – i.e. what they thought was measles, but in fact wasn’t. Forgive me for this, but from this my reading is that you have misunderstood Siouxsie’s article entirely. I take it from you moving on from my blog that you accept now that there is evidence pointing to fraud on Wakefield’s part? Sorry, Grant. I am not yet convinced that Wakefield did anything wrong, let alone fraudulent. I am not ready to concede that anyone’s PCR testing accurately detects (acceptable specificity and sensitivity) a measles virus, either, until I know more. Stop with the insults, Grant. I don’t speculate on your ability to read or understand anything. I expect the same. So how did they get any positives when Nickâ€™s results were all negative? Did Nick Chadwick do work on the 2002 study? If so that might clear up a possible misunderstanding on my part. 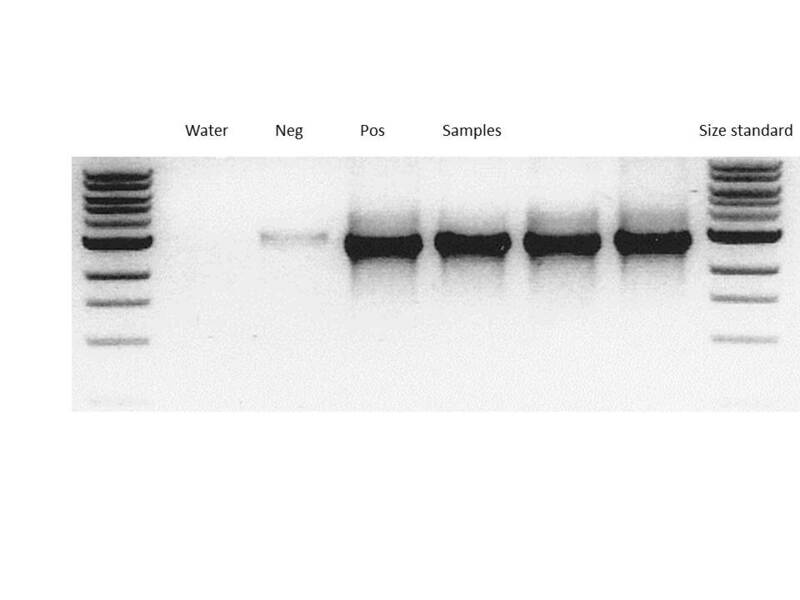 By the way, I see photos of Western Blots in journal articles all the time. Why did Siouxsie call this out as unusual? I am somewhat confused about your comment “I am not ready to concede that anyone’s PCR testing accurately detects… a measles virus”. Yet, your responses to my post seem to revolve around you defending Wakefield’s apparent detection of measles by PCR. Am I missing something? 1. Chadwick worked with Wakefield in the late 90’s to develop a PCr method for measles virus detection. They published the methodology but not his findings regarding the Lancet 12 (they were all negative – this is only found in his thesis, a copy of which is held at the host institution library [and the British Library too I think]). 2. The results from 9 of the Lancet 12 were published by Wakefield and some Japanese researchers where they say the three of the nine were positive. 3. Wakefield appears on a publication with some Irish researchers where 75 of 91 patients were found to be positive. 4. D’Souza showed that the primers used by the Irish group are not specific for measles virus and so what they amplified was not measles virus. The link to the Irish researchers 2002 article was provided. Nick Chadwick’s name is not on the list of authors. Regarding Western blots, I agree that these appear in articles all the time. However, westerns are for visualising proteins NOT nucleic acids. It is nucleic acids that are the subject of my post. These are visualised by gel electrophoresis, an example of which is shown in the figure. It is images of these that are not routinely shown. Stop with the insults, Grant. I donâ€™t speculate on your ability to read or understand anything. I expect the same. Excuse me for this, but this is incorrect. I believe this remark is in reply to statements on a thread on my blog, not here. There you (Joel) kept telling my readers that you wouldn’t read various things. I took my lead from your words that you didn’t seem to be prepared to read much and tried to light-heartedly point out that youâ€™re going to have to if you want to get at the truth. It was a suggestion, not an insult. Regards you asking â€œI expect the sameâ€, you accused almost every one who wrote in reply to you on my blog thread of various things. It doesnâ€™t matter either way. What matters is what the experimental techniques are showing, not who does the experiments. Allow me to offer a simplified explanation that might help. There are many variants of PCR, this just explains the basic idea and (hopefully) addresses your question. My explanation leaves a lot of the reality out. PCR aims to create larger amounts of small amounts of particular DNA in a sample. Typically the sample will contain a mixture of DNA. PCR works to make larger amounts of particular DNA the researcher is looking for. It is often used to detect particular DNA that is found in only very small amounts in a sample, such as viral DNA (or RNA) in a tissue sample. It starts by using two small DNA fragments that match nearby positions in the DNA being looked for. The small DNA fragments used to match the DNA in the sample are called the primers. This cycle is repeated several times to create enough of the originally small amount of DNA being looked for that itâ€™s DNA sequence can be read or the DNA can be examined with other techniques. Wakefield is testing for the presence of measles virus in his patientâ€™s samples. Hence, in this case the primers must match measles virus DNA. According to what Siouxsie has written,** Dâ€™Souzaâ€™s work shows that the primersâ€”the small DNA fragments used to match what is being looked for in the sampleâ€”is not specific for measles virus. This means the primer Wakefield used is not appropriate for what he is looking for. It will match things other than he was looking for and will*** produce garbage output. These are the â€˜false positivesâ€™ I referred to. Results Wakefield thought/claimed/argued were matches to measles virus DNA, but in fact werenâ€™t. This is where the controls Siouxsie refers to come in. They test that what you are matching is in fact what you are looking for, and not other things. First names are okay for forum participants. I don’t have a problem with it myself. Itâ€™s Siouxsieâ€™s blog: if she wants to be informal, thatâ€™s her call. Personally I think itâ€˜s great, thereâ€™s far too much stuffiness in formal science writing. * Or mostly, the details are fiddly. ** I donâ€™t have time to read the original paper – that takes a lot of time! *** â€˜will potentiallyâ€™, if people want to be finicky about it. Oh, rats. Could you close my a tag, Siouxsie? Sorry about that. No the entire comment… Sigh. Grant, I really appreciate the information on PCR technique. Thank you for sorting through the details to focus on key elements important for understanding. Siouxsie and Grant, I understand Wakefield may have used PCR testing less specific than D’Souza’s. But isn’t it still possible that Wakefield and the Japanese researchers were amplifying measles virus?